Delicias de Alicia is a social project that travels to impoverished communities throughout Buenos Aires and teaches healthy vegetarian recipes, with the aim of tackling widespread poor nutrition. BristoLatino’s Isobel Vasey reports. Buenos Aires is a vibrant and ever evolving city, home to a diverse and exciting culinary scene. Walking through the barrios of Palermo and Recoleta, with its mixtures of ‘parillas’ (steak houses), hip coffee houses and health food cafes, the huge disparity of wealth within the city can easily be overlooked. However, beyond the façade of Parisienne architecture and the hubbub of craft beer bars lies a city where many citizens struggle with poor nutrition. 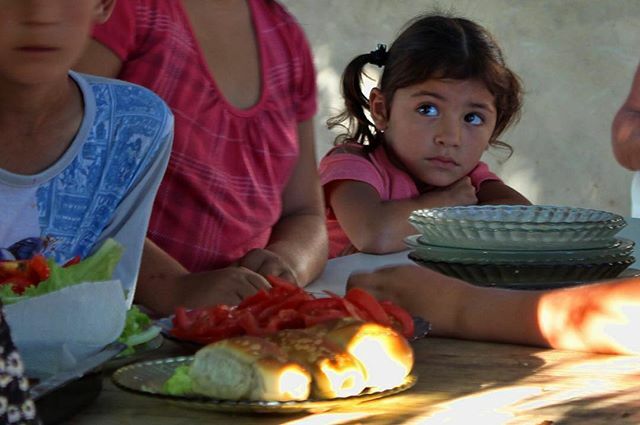 Nutrition is one of the greatest challenges deprived communities in Argentina face. The average Argentine consumes 86kg of meat a year, making them one of the largest consumers of meat worldwide. Education aimed at highlighting the importance of maintaining a balanced diet is relatively limited and concentrated amongst the more affluent demographic. This barrier to nutrition is most obvious in more deprived communities, particularly in the ‘villas’. Here, populations often survive on a diet of ‘torta fritta’ (a sort of fried bread consisting of flour and water) and meat containing a high fat content. Healthier options are available, but for many, a lack of knowledge surrounding nutritional value of foods, as well as how to prepare them, makes them less accessible. ‘Delicias de Alicia’ is a social project aiming to tackle these problems and change the diets of children and their families throughout poorer communities. Working in deprived communities with children between the ages of 6 and 12, the project teaches children the importance of a balanced diet, helping them change their diets at home by providing workshops cooking vegetarian food with minimal salt and sugar. Travelling to communities throughout the city, ‘Delicias de Alicia’ run 6 week long workshops, focusing on a different food group each week and giving children hands-on experience of cooking different recipes. Organised and run by Alicia Amende, the project is made possible by groups of volunteers who help with teaching workshops, working at events and running marketing campaigns. Upon completing the six-week course, all the participants have a graduation ceremony and leave the course armed with a booklet full of the recipes and information they have learnt, equipping them with the skills to make positive changes to their diets at home. The workshops are funded by a ‘closed door’ vegetarian restaurant, running monthly in a beautiful house in San Telmo. ‘Closed door’ restaurants are a popular phenomenon in Buenos Aires where chefs open up their homes to provide an original culinary experience with a small group of guests. They are also run by an outside catering service. The restaurant provides a space for guests to learn more about the project, enjoy the food, and participate in the discussion around education and nutrition in less affluent areas of the city. All of the profits from both endeavours go directly back into the project, continuing to fund workshops in communities throughout the city. When asking Alicia Amende – the project founder – her aspiration for the project, she said she ‘never wanted to hear a child ask her what a vegetable is again’.